Charlie Holland is remembered as the pioneering Brit who rode the Tour way back in 1937, writes Keith Bingham. There was a second British rider who started, Bill Burl, but injury saw him abandon by the second stage, leaving Holland to fend for himself. And how! Now, thanks to a chance discovery of an old suitcase in the loft, found by two of his daughters, Nina and Frances, we can fully appreciate his outstanding qualities. For here was a veritable treasure trove, telling of exploits which had caught the imagination of the cycling world more than six decades ago. 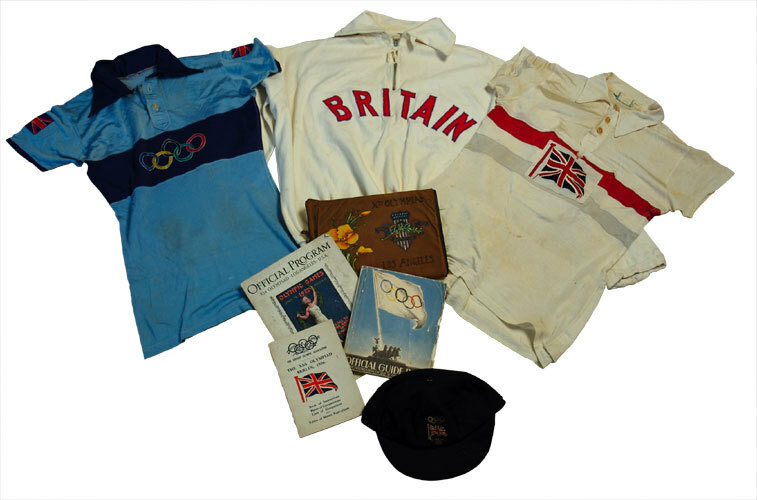 There were his neatly folded Olympic and Tour de France jerseys, his racing caps, photographs and memorabilia, notes and masses of beautifully written correspondence ? advice from well-wishers and fans. Crucially, there were the articles on his Tour experiences, which he?d penned for this very journal. And so many medals from his successes in the colours of the Midland C and AC. A window on Holland?s vibrant past had been flung open. In that 1937 Tour, Holland conquered the Alps and the Pyrenees and demonstrated tactical savvy alongside the greats, before his luck, or to be exact, his supply of tyres ran out! Defeated by too many punctures, Holland was forced to quit. He was in the form of his life and would otherwise have finished strongly. Charles Holland was born 1908 and died in 1989, aged 81. He had two brothers who also raced and was a contemporary of the great Frank Southall. A celebrated place-to-place record breaker, Holland was selected to ride in two Olympic Games, at Los Angeles in 1932 and Munich in 1936 and in the World Championships. He turned pro in April 1937. Within two months he would be on the start line of the Tour! All of this, of course, happened before he married. His children grew up knowing little of their father?s sporting achievements. Fran recalled the moment they opened the suitcase: ?I was amazed when I saw the quantity of medals, the photographs, and his articles in Cycling documenting his Tour de France exploits. ?We were familiar with his cups and medals in the house. We had grown up with them and they didn?t mean much at the time.? They knew instantly that they had a major book on their hands. Nina was reminded of a much earlier occasion when she had first realised her father had once been quite famous. ?How famous our dad had been was brought home to us in 1962; I was 11 years old when we went with him to the Royal Albert Hall (BBAR dinner and awards) where he was invited to tell ?The Story of the Yellow Jersey?. They sat in the royal box and watched a show, which starred the great comedian Tommy Trinder. Other guests included Tour winner Louison Bobet, his brother Jean, Tour co-director Jacques Goddet and Brian Robinson, who in 1958 was the first Briton to win a Tour stage. However, it wasn?t until the discovery of his suitcase that it all sank in. And there was another surprise. During the course of the sisters? research they discovered how many cyclists write poetry ? as their father did ? and paint. It was as if their experiences on the road drove them to appreciate the higher meaning of life.